Imagine a situation in which an activist group with certain political ambitions and close ties to a computer manufacturer engaged in a campaign of threats against specific retailers. Targeted retailers were told that they must buy computers from only a select manufacturer (the one closely associated with the activist group) and no other, to the detriment of the retailer, market competition and consumers at large. If retailers dared to purchase from any other computer manufacturer, the activist group would continue a campaign to spread misinformation, harass and embarrass the retailer, and sully its name brand. If this fictional scenario were made real, it would likely be cause for an investigation. In the world of organized crime, this type of strategy has a name: racketeering. Yet when my former colleagues at Greenpeace employ a similar strategy to target Indonesian forest product producers (albeit without the threat of violence often associated with racketeering), they’re hailed as leaders by their fellow environmental activists. Greenpeace is threatening name-brand retailers and manufacturers who do not agree to a Greenpeace-backed wood fibre and paper policy that gives preference to one particular forest certifier, the Forest Stewardship Council (FSC), over all other forest certification bodies. For Greenpeace, it doesn’t matter that other forest certifiers enforce rigorous forest certification standards that either match or exceed those of the FSC. It doesn’t matter, my old group says, that Indonesian forest product producers adhere to strict environmental and social standards and provide enormous benefits to local and often poor people in the areas where producers operate. It doesn’t matter that leading Indonesian forest product producers are aggressively certifying plantation forests through a range of independent, third-party standards including Indonesia’s rigorous national standard, Lembaga Ekolabel Indonesia (LEI). Instead, what matters to Greenpeace is its close association with the FSC. Greenpeace was instrumental in the FSC’s founding and maintains, along with its fellow environmental activists, tight political control over the organization. It follows that Greenpeace wishes to see only the FSC thrive and all other certification standards perish. No other forest certifier has the advantage of Greenpeace support. Not only does Greenpeace promote the FSC. Greenpeace actively threatens any retailer or manufacturer that decides to purchase wood and paper products certified using other, equally rigorous forest certification standards. Greenpeace is essentially attempting to create a monopoly for the FSC in Asia by using a strategy of threats and intimidation. Greenpeace tried a similar strategy against British Columbia’s forest industry, pushing United States home improvement retailers, home builders, and other wood and paper product purchasers to buy only FSC-labelled products. But home improvement retailers and home builders eventually realized they could provide better value to their customers — while still ensuring sustainable forest practices — by giving preference to a range of forest certification standards. Having failed to secure an FSC monopoly against B.C. forest products, Greenpeace is now attempting to do so in Asia, with a particular focus on Indonesia. Targeting Indonesia’s legal and sustainable forest sector will do nothing to prevent forest destruction in the country and will likely only exacerbate deforestation. And promoting an FSC monopoly will limit consumer choice and market competition while having no effect on forest sustainability. It’s time for Greenpeace to end this wrong-headed, damaging approach. 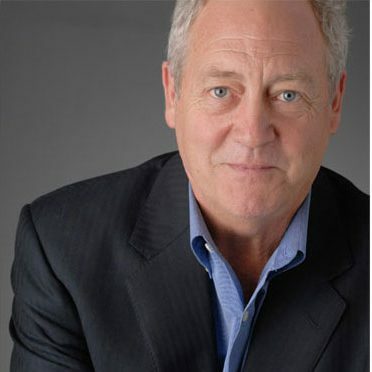 Patrick Moore is a chairman and chief scientist of Greenspirit Strategies Ltd. in Vancouver. He is the author of Confessions of a Greenpeace Dropout: The Making of a Sensible Environmentalist. It is available at www.sensibleenvironmentalist.com and Amazon.ca.